The village of Bilthoven is wonderfully situated in green surroundings. The village has a lively centre surrounded by neighbourhoods of varied character and densities. Koperwieklaan is located on the boundary between a neighbourhood of villas and a district built in the 1960s. At present the area looks disorganized, but fresh impetus can transform it into a luxury residential area, with seniors as the primary target group. 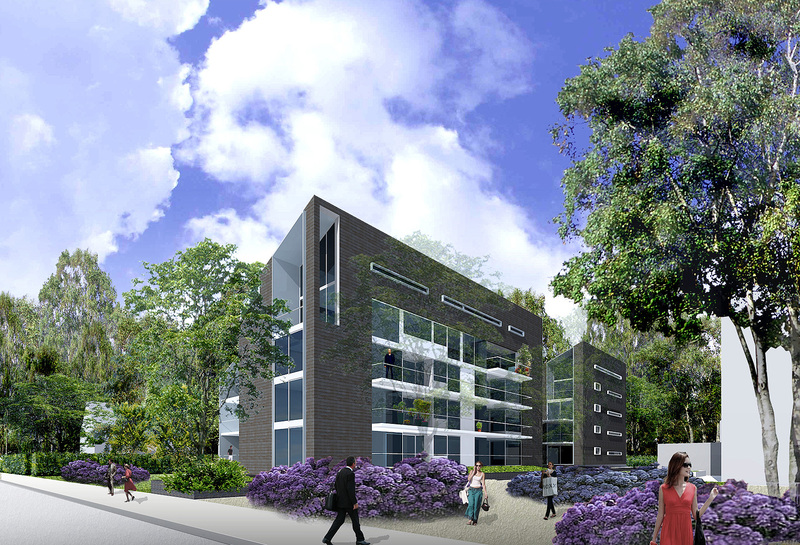 Koperwieklaan is within walking distance of the village centre, and the Koperwijk residential-care complex could provide care at a distance. 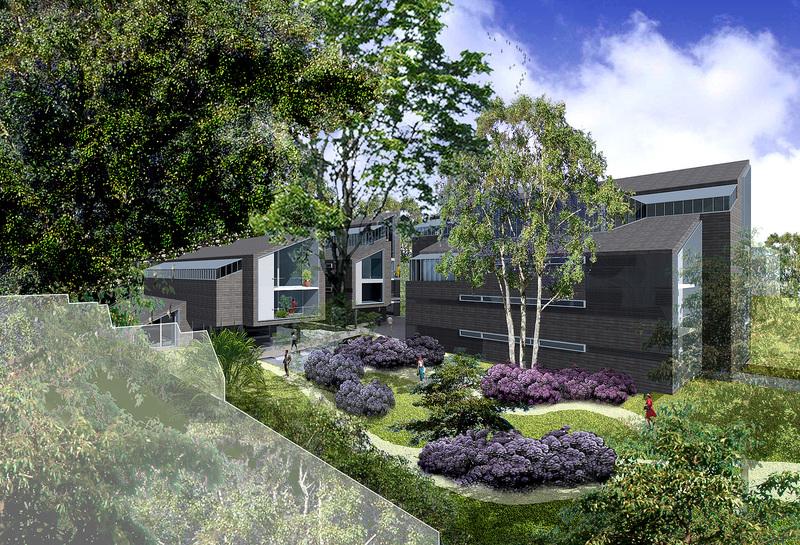 Placed on an underground car park, the three building volumes form an ensemble of about thirty homes. The height of the development responds to its surroundings: volumes on the villa side are kept low, but rise in height towards the taller residential-care complex. Oriented to the surrounding greenery with (roof) terraces and balconies, the dwellings are highly flexible in use and well-orientated to the sun. 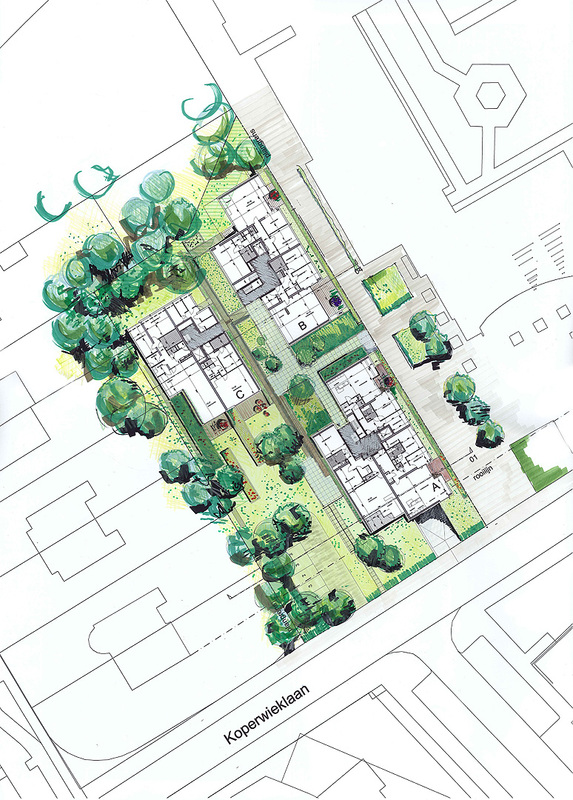 The site itself is laid out as a collective garden, and the preservation of existing trees ensures a pleasant residential climate right from the start. The architecture and the layout of the garden enhance the character of the location, blending harmoniously with the various atmospheres in the surroundings.